Located on a sprawling section of jungle-covered beach in the Riviera Maya sits the Platinum Yucatan Princess adults-only resort. A wedding ceremony here could take inspiration from its modern and posh surroundings. 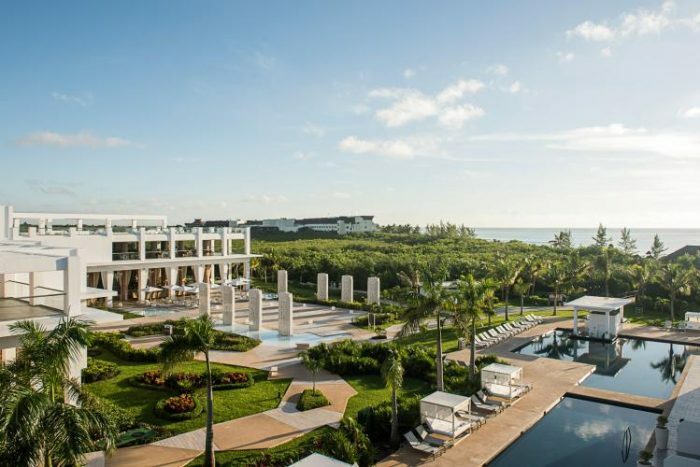 This would be the perfect resort for a destination wedding that has a group made of up active guests, as the activity and pool options are bountiful and thoughtfully designed. At every nook and corner, you and your guests will find superb service made to make every customer feel like royalty for the duration of their stay. The beach is actually located at a nearby sister resort and requires a walk across a scenic bridge to reach. If the 13 sprawling pools don’t entice your guests maybe they will enjoy the sports park, a unique feature to this resort. It includes a batting cage, putting green, and even an air-rifle target range. 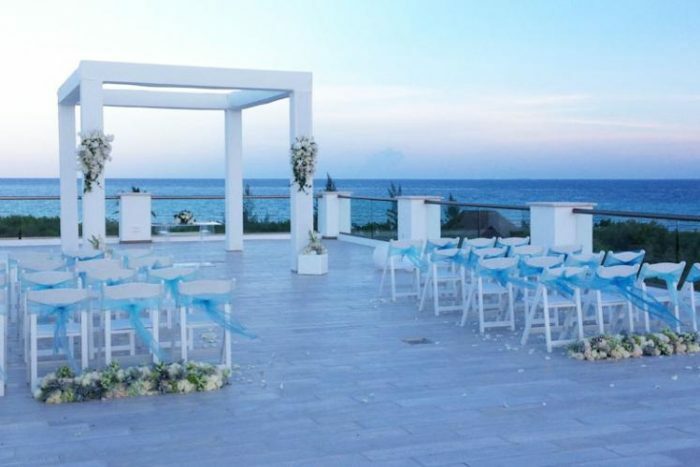 Your guests will have access to wedding ceremony locations and facilities at the Grand Sunset Princess. Tell us more about yourselfpick one! Where are you in the process? Would you like a response via text message? *Upgrades and additional guests available. Restrictions may apply. The entry level vow renewal package begins at $880, and the entry-level wedding package begins at $1650. Upgraded packages, additional guests, and add-ons are available for an additional cost. 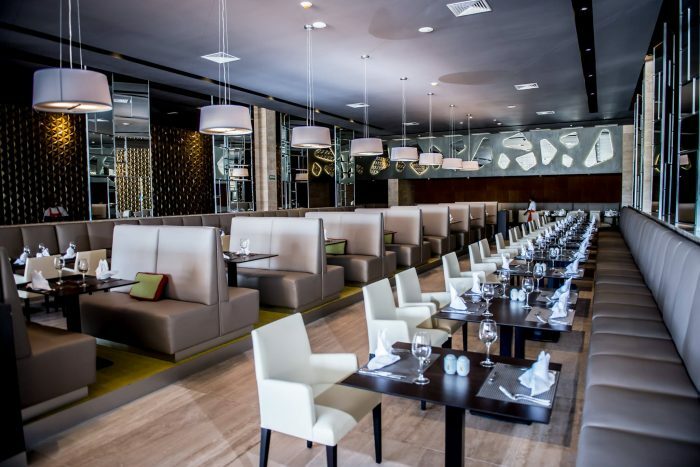 Terrace – 200 Guests Max, Beach – 100 Guests Max. 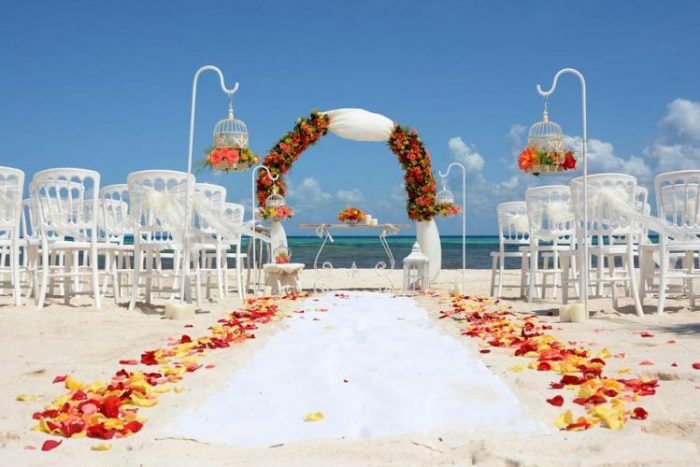 According to the wedding department the Platinum Yucatan Princess can host up to 3 weddings per day. The wedding coordinator typically responds in 24 hours. $190 – $260 average price per person per night. Rooms include a private terrace or balcony, daily restocked minibar, and resort-wide wifi. There are 472 rooms with resort, swim-out, jungle and ocean views. The resort is recommended for more active guests due to the sprawling nature of the resort’s layout. The months with the highest chance of sell-out are April, May, June, July, and October. This hotel allows a maximum of 3 adults per room. 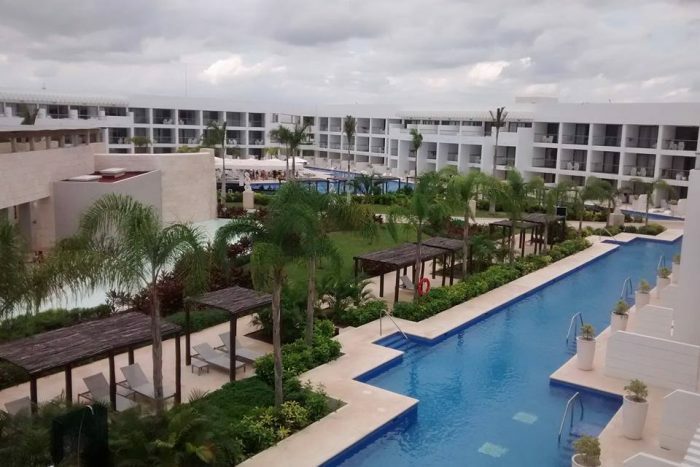 The resort is located 30 miles from the CUN airport. There are 472 rooms with resort, swim-out, jungle and ocean views. The resort is recommended for more active guests due to the sprawling nature of the resort’s layout. This resort shsares som exchange privileges with a nearby sister resort.